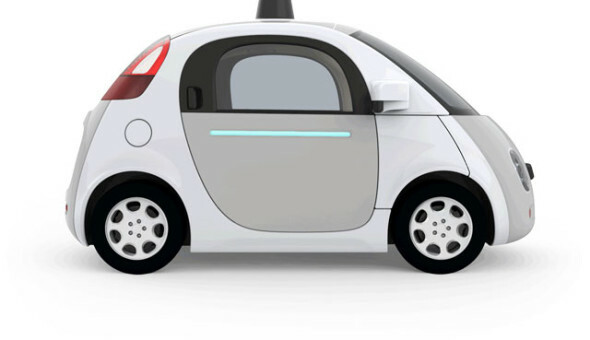 –By now, everyone has seen news reports of Google’s automated cars around California and Nevada. Driverless vehicles, also known as autonomous, automated or self-driving cars, are no longer science fiction. The technology is here now, and many companies are already testing them on the roads. Just three years ago, California added a section to its vehicle code instructing the Department of Motor Vehicles to adopt regulations for manufacturer’s testing of autonomous vehicles and public deployment of them. Early this month, the California League of Cities gave a special presentation on autonomous vehicles to attendees at a Planning Commissioners Academy in San Ramon, Calif. The presentation explored how connected and autonomous vehicles will transform the transportation landscape. 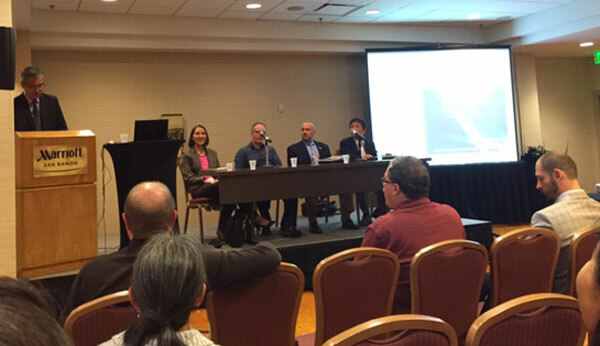 Randy Iwasaki, executive director of the Contra Costa Transportation Authority, at the lectern, moderates a panel discussion on autonomous vehicles at the California League of Cities Planning Commissioner’s Academy on March 3 in San Ramon, Calif. Presentation included a DMV executive, Nissan executive and a report from Cal Poly San Luis Obispo. Autonomous vehicles will be on the road sooner than you might think. Technological shifts can happen rapidly. In 1900, New York City’s streets where clogged with horse and buggy traffic. By 1913, there was not a horse to be found as cars filled the streets. In today’s age new technology displaces old tech even more quickly, consider the Internet and mobile devices. Nissan expects to have fully autonomous vehicles on the road in 2020, according to Toshiro Muramatsu, director of Nissan’s Vehicle Information Technology Division in Silicon Valley. Tesla is planning for an earlier launch date. Google estimates working models on the streets between 2018-2020. The tipping point for autonomous vehicles is 2026, according to Paul Godsmark, the chief technology officer for Canadian Automated Vehicles Centre of Excellence, who spoke at the conference. Autonomous vehicles may come in many forms: privately owned, public transportation, taxi service like Uber, delivery vehicles. What could autonomous vehicles mean for cities? Here are some of the sessions I attended with fellow Paso Robles Planning Commissioners at the academy that ran March 2-4, 2016.